AAA Fire Protection has been providing fire protection services in Atherton, CA since 1974. As a family-owned and run business we have the utmost dedication to the well-being of our customers and employees. Whether you own a restaurant or you are an industrial client, the commitment of AAA Fire Protection Services is to ensure the safety of you, your staff and facility. Contact us for a free quote or to arrange a service call at (800) 543-5556. AAA Fire Protection has been providing fire protection services in Belmont, CA since 1974. As a family-owned and run business we have the utmost dedication to the well-being of our customers and employees. Whether you own a restaurant or you are an industrial client, the commitment of AAA Fire Protection Services is to ensure the safety of you, your staff and facility. Contact us for a free quote or to arrange a service call at (800) 543-5556. AAA Fire Protection has been providing fire protection services in Brisbane, CA since 1974. As a family-owned and run business we have the utmost dedication to the well-being of our customers and employees. Whether you own a restaurant or you are an industrial client, the commitment of AAA Fire Protection Services is to ensure the safety of you, your staff and facility. Contact us for a free quote or to arrange a service call at:(800) 543-5556. AAA Fire Protection has been providing fire protection services in Burlingame, CA since 1974. As a family-owned and run business we have the utmost dedication to the well-being of our customers and employees. Whether you own a restaurant or you are an industrial client, the commitment of AAA Fire Protection Services is to ensure the safety of you, your staff and facility. Contact us for a free quote or to arrange a service call at: (800) 543-5556. AAA Fire Protection has been providing fire protection services in Daly City, CA since 1974. As a family-owned and run business we have the utmost dedication to the well-being of our customers and employees. Whether you own a restaurant or you are an industrial client, the commitment of AAA Fire Protection Services is to ensure the safety of you, your staff and facility. Contact us for a free quote or to arrange a service call at: (800) 543-5556. AAA Fire Protection has been providing fire protection services in East Palo Alto, CA since 1974. As a family-owned and run business we have the utmost dedication to the well-being of our customers and employees. Whether you own a restaurant or you are an industrial client, the commitment of AAA Fire Protection Services is to ensure the safety of you, your staff and facility. Contact us for a free quote or to arrange a service call at: (800) 543-5556. AAA Fire Protection has been providing fire protection services in Foster City, CA since 1974. As a family-owned and run business we have the utmost dedication to the well-being of our customers and employees. Whether you own a restaurant or you are an industrial client, the commitment of AAA Fire Protection Services is to ensure the safety of you, your staff and facility. Contact us for a free quote or to arrange a service call at: (800) 543-5556. AAA Fire Protection has been providing fire protection services in Half Moon Bay, CA since 1974. As a family-owned and run business we have the utmost dedication to the well-being of our customers and employees. Whether you own a restaurant or you are an industrial client, the commitment of AAA Fire Protection Services is to ensure the safety of you, your staff and facility. Contact us for a free quote or to arrange a service call at: (800) 543-5556. AAA Fire Protection has been providing fire protection services in Hillsborough, CA since 1974. As a family-owned and run business we have the utmost dedication to the well-being of our customers and employees. Whether you own a restaurant or you are an industrial client, the commitment of AAA Fire Protection Services is to ensure the safety of you, your staff and facility. Contact us for a free quote or to arrange a service call at: (800) 543-5556. AAA Fire Protection has been providing fire protection services in Menlo Park, CA since 1974. As a family-owned and run business we have the utmost dedication to the well-being of our customers and employees. Whether you own a restaurant or you are an industrial client, the commitment of AAA Fire Protection Services is to ensure the safety of you, your staff and facility. Contact us for a free quote or to arrange a service call at: (800) 543-5556. AAA Fire Protection has been providing fire protection services in Millbrae, CA since 1974. As a family-owned and run business we have the utmost dedication to the well-being of our customers and employees. Whether you own a restaurant or you are an industrial client, the commitment of AAA Fire Protection Services is to ensure the safety of you, your staff and facility. Contact us for a free quote or to arrange a service call at: (800) 543-5556. AAA Fire Protection has been providing fire protection services in Pacifica, CA since 1974. As a family-owned and run business we have the utmost dedication to the well-being of our customers and employees. Whether you own a restaurant or you are an industrial client, the commitment of AAA Fire Protection Services is to ensure the safety of you, your staff and facility. Contact us for a free quote or to arrange a service call at: (800) 543-5556. AAA Fire Protection has been providing fire protection services in Portola Valley, CA since 1974. As a family-owned and run business we have the utmost dedication to the well-being of our customers and employees. Whether you own a restaurant or you are an industrial client, the commitment of AAA Fire Protection Services is to ensure the safety of you, your staff and facility. Contact us for a free quote or to arrange a service call at: (800) 543-5556. AAA Fire Protection has been providing fire protection services in Redwood City, CA since 1974. As a family-owned and run business we have the utmost dedication to the well-being of our customers and employees. Whether you own a restaurant or you are an industrial client, the commitment of AAA Fire Protection Services is to ensure the safety of you, your staff and facility. Contact us for a free quote or to arrange a service call at: (800) 543-5556. AAA Fire Protection has been providing fire protection services in San Bruno, CA since 1974. As a family-owned and run business we have the utmost dedication to the well-being of our customers and employees. Whether you own a restaurant or you are an industrial client, the commitment of AAA Fire Protection Services is to ensure the safety of you, your staff and facility. Contact us for a free quote or to arrange a service call at: (800) 543-5556. AAA Fire Protection has been providing fire protection services in San Mateo, CA since 1974. As a family-owned and run business we have the utmost dedication to the well-being of our customers and employees. Whether you own a restaurant or you are an industrial client, the commitment of AAA Fire Protection Services is to ensure the safety of you, your staff and facility. Contact us for a free quote or to arrange a service call at: (800) 543-5556. AAA Fire Protection has been providing fire protection services in South San Francisco, CA since 1974. As a family-owned and run business we have the utmost dedication to the well-being of our customers and employees. Whether you own a restaurant or you are an industrial client, the commitment of AAA Fire Protection Services is to ensure the safety of you, your staff and facility. Contact us for a free quote or to arrange a service call at: (800) 543-5556. 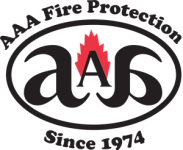 AAA Fire Protection has been providing fire protection services in Woodside, CA since 1974. As a family-owned and run business we have the utmost dedication to the well-being of our customers and employees. Whether you own a restaurant or you are an industrial client, the commitment of AAA Fire Protection Services is to ensure the safety of you, your staff and facility. Contact us for a free quote or to arrange a service call at: (800) 543-5556.